Master craftsman Gil Hibben produces excellent collectible weapons and functional blades that have been featured in over 30 movies and television shows over the years. Hibben Knives products are made from high quality Damascus steel and polished stainless steel for a great look and incredible functionality. 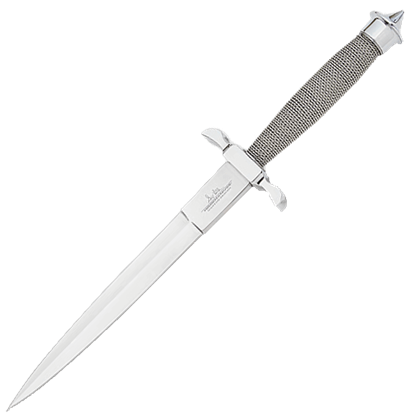 Each Hibben blade displays an etching of his personal stamp to identify it as an authentic Gil Hibben creation. At Buying a Sword, we carry a selection of Hibben fantasy daggers that are perfect for collectors and re-enactors to show off and use. When you want a truly stunning blade, be sure to check out the options under the Hibben Knives brand.